Notes 5th week: We’ve taken quite a liking to this pup — she has the right mix of energy and watchfulness we like in a hunting retriever. So, we’re adding her to our household and you can expect puppies from her in two years. 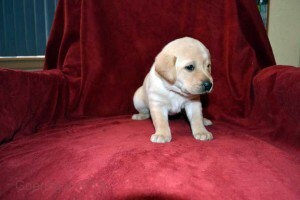 We’ve name her Kaylee. 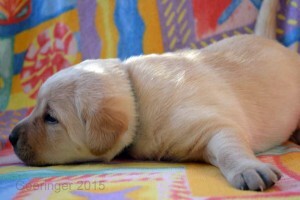 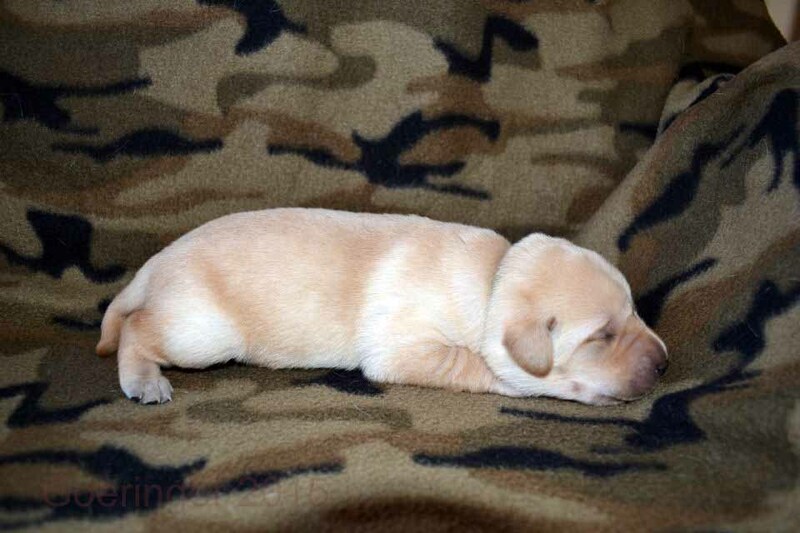 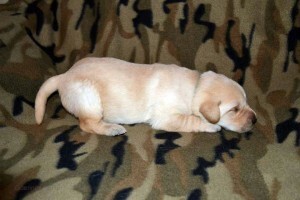 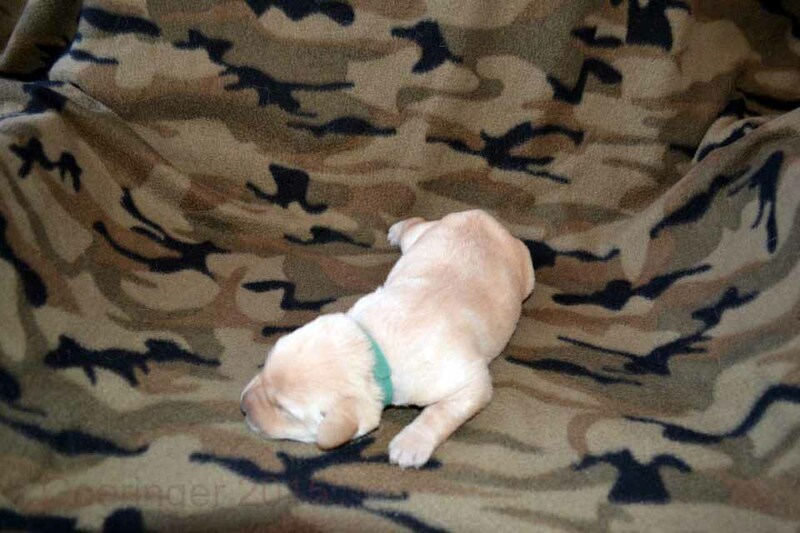 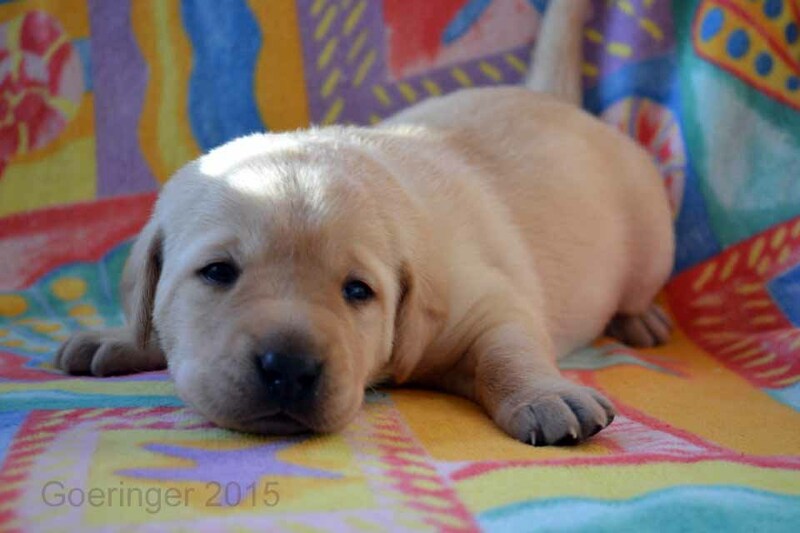 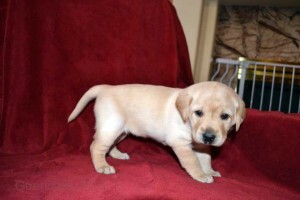 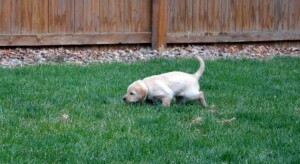 Notes 4th week: Smallest little yellow lab puppy of the litter so far. Eager and curious. 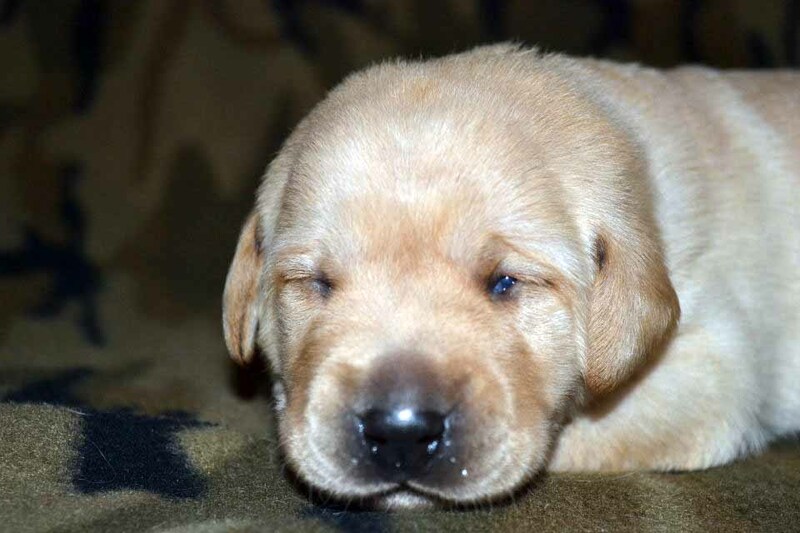 Already confident and gentle. 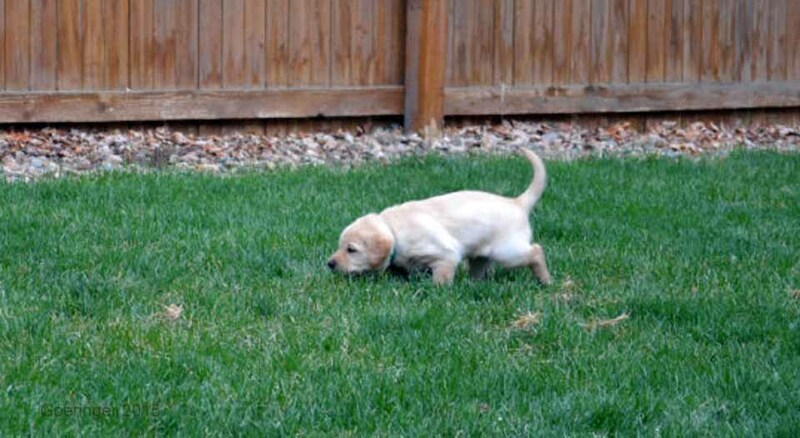 Growing very well, very fun to watch play with the rest of the puppies. Notes 3rd week: Good week. Gaining weight, walking, eyes open, and teeth showing. Notes 2nd week: Doing great — added another pound. 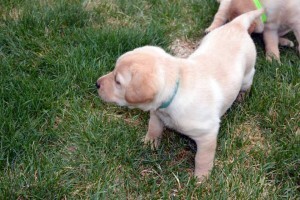 Energetic! 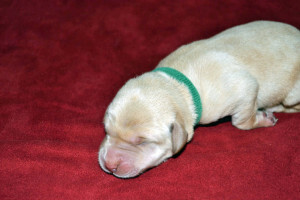 Notes 1st week: Doing well — doubled in weight this week!